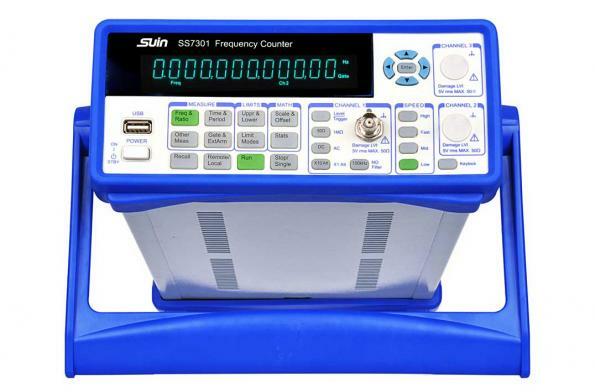 High frequency, 30 to 300 MHz very high frequency signal generator with a frequency of 100 kHz to 30 MHz. 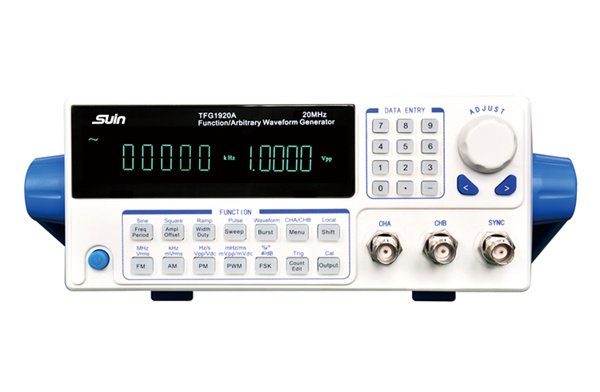 An LC tuned oscillator is typically used and the frequency can be read by the dial scale of the tuning capacitor. 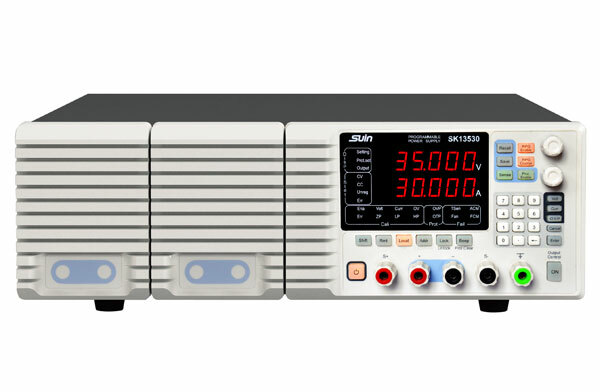 The main purpose is to measure the technical specifications of various receivers. 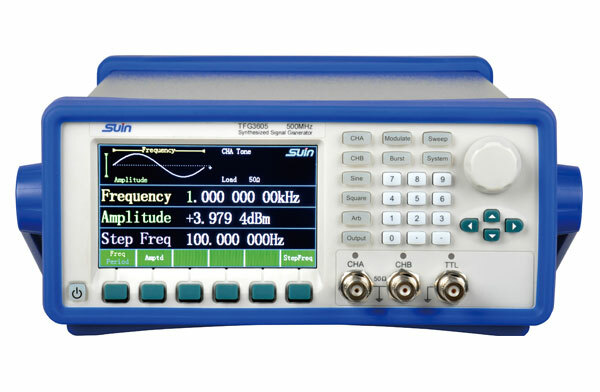 The output signal can be amplitude modulated or frequency modulated with an internal or external low frequency sinusoidal signal to attenuate the output carrier frequency voltage below 1 microvolt. 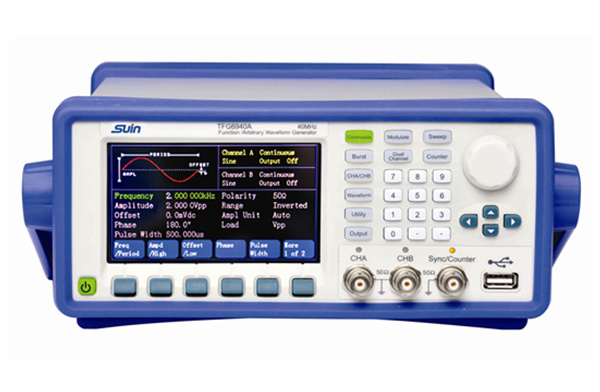 The output signal level can be accurately read, and the added amplitude or frequency offset can also be read by the meter. 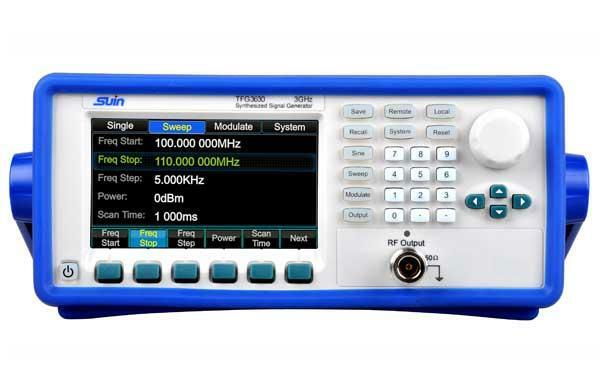 In addition, the instrument has a good shield against signal leakage. 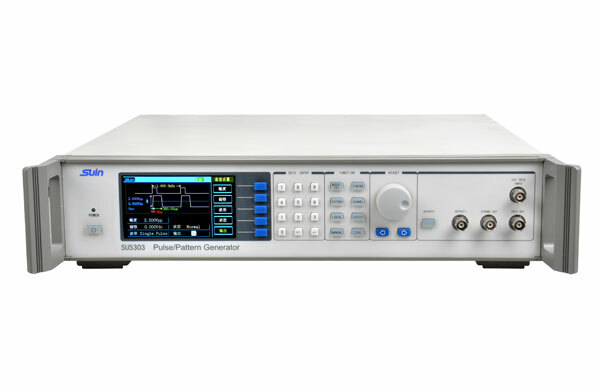 Also known as the waveform generator. 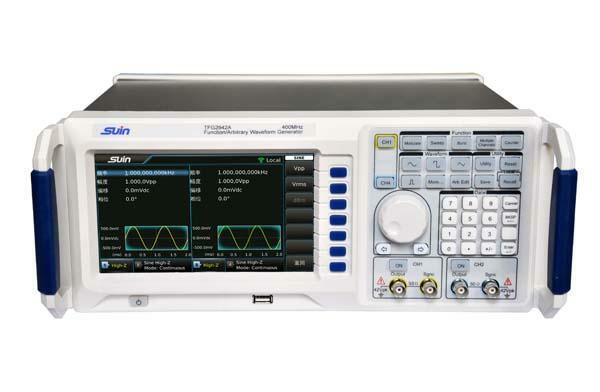 It can generate certain periodic time function waveform signals. The frequency range can range from ultra-low frequencies of a few millihertz or even a few microhertz up to tens of megahertz. 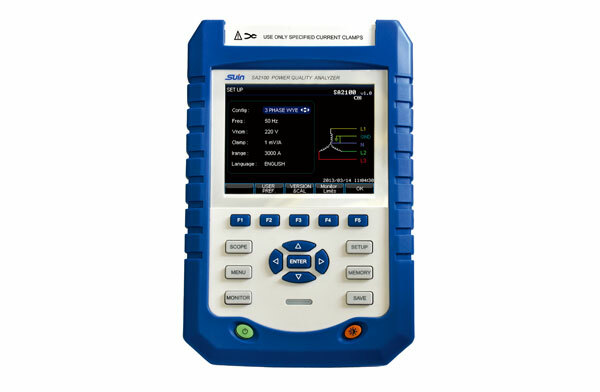 In addition to testing for communications, instrumentation and automatic control systems, it is also widely used in other non-electrical measurement fields. 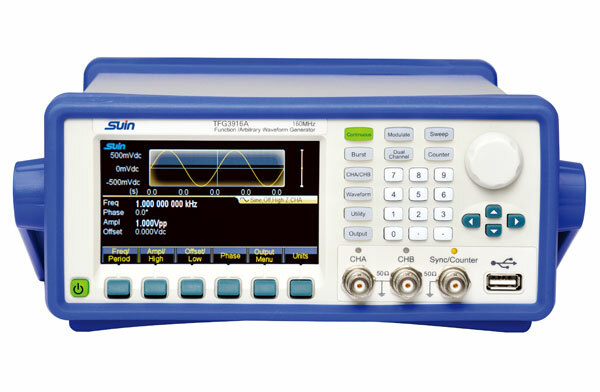 The configuration method is to generate a sine wave by a frequency synthesizer, and then amplify and clip it a plurality of times to form a square wave, and then integrate the square wave into a triangular wave and a sawtooth wave with positive and negative slopes. 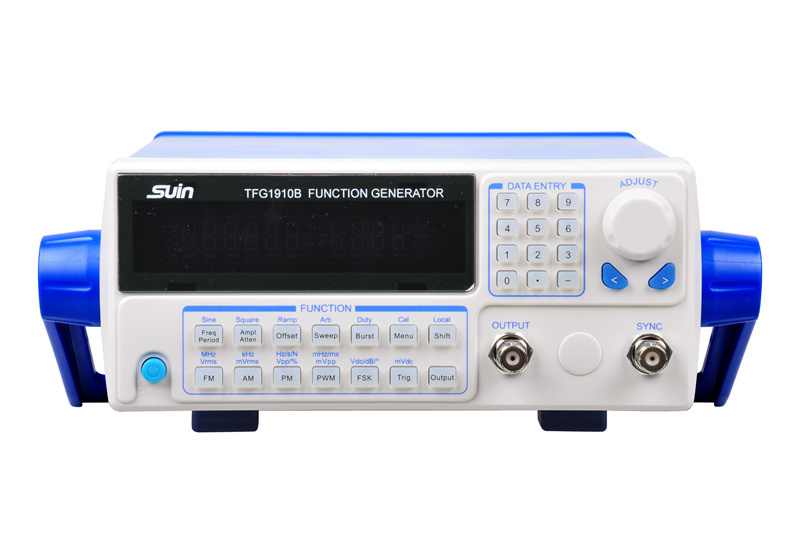 The frequency of these function generators can be electronically controlled, programmed, locked and swept. 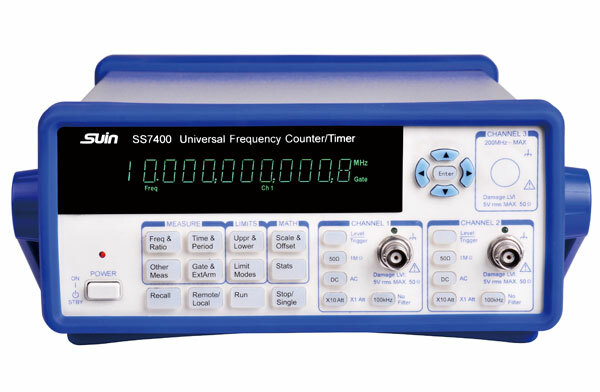 In addition to working in continuous wave state, the instrument can also work by key control, gating or triggering.